Anyone who knows me will know that one of my slightly strange obsessions, especially being in Ireland, is my love of San Francisco Giants baseball club. I know one Irish person who loves baseball as much as I do, He’s a Cards fan. 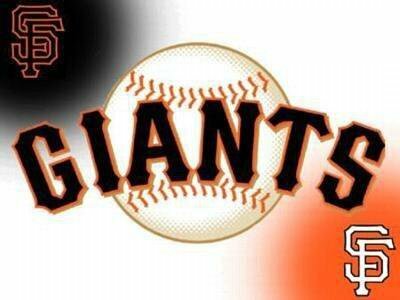 Last night the Giants had their home opener of the season. The season isn’t a week one yet but the Giants whitewashed the Astros to have a 3-0 for the first time in donkeys years. While most other people in the country were settling in to watch The Late Late Show or head to the pub, I was sitting in front of this very computer screen, chatting with fellow Giants fans from the Bay Area while watching the game online. It didn’t get off to a fantastic start, with Johnny Sanchez being a little nervous I think and giving the Atlanta Braves a 2-0 lead. The Braves lead for a few innings, the Giants clawed back. The Panda, Pablo Sandoval, being totally frustrating hitting into double plays. At this point, I also realise how much of a nerd I am as I tell my fellow Giants fans what their local sports station is KNBR 650 and 1050 AM and they can listen to the games live. By the end of 9 innings it’s all square, time to go to extra innings. The Giants seemed to be throwing their chances, getting runners on base always helps a cause but this was still frustrating to watch.Into the 13th inning, it’s about 0120 am I wont go to bed until it’s over. I’ve lasted this long. Bottom of the 13th, 2 out, Juam Uribe on Base, Aaron Rowland on base. They manage to scramble Uribe home to take a Walk off win. Heaven! 4-0 Dead tired but worth it! Edgar Renteria = grossly underrated!